Adding a vinyl house siding is an oft-followed remodeling idea. A new vinyl siding can give your walls a facelift and offer protection against the elements. Vinyl is popular on account of its ease in installation and maintenance as well as its affordability. The range of vinyl sidings available is wide - colors, patterns and styles to suit the overall décor of your home. Vinyl sidings are now a popular choice over wood, brick and stucco. The durability and low maintenance of home vinyl sidings makes them a viable alternative to painting. Vinyl sidings can be installed as a DIY project if you are well equipped with the appropriate tools and technique. Look up our tips on installation and maintenance of vinyl sidings. Vinyl home sidings are individual panels of PVC (Poly Vinyl Chloride) that can be affixed to the house exteriors. Investing in Vinyl house siding is prudent from a long-term perspective - it offers greater strength and rigidity as well as lower maintenance costs. Vinyl sidings for the house are available in many widths and lengths, from 6.5 inches to 10 inches width. Vinyl can withstand fluctuations in temperatures and climate. Vinyl sheets are extruded and embossed with different patterns and styles. Vinyl sidings have come a long way from the shiny and synthetic looking surface that was introduced many a decade ago. Today they come in brushed or wood-grained patterns that are a far cry from the shiny plastic that was available. Vinyl sidings come as horizontal and vertical sidings or traditional clapboard ones or deep wood grain textures. With color pigments mixed in the vinyl resin before extrusion, the color is full depth. Additives are added to prevent fading of color and ultraviolet damage. The range of colors can vary from traditional to contemporary ones. Washing your vinyl siding with a soft bristle brush goes a long way in keeping it clean. Maintaining vinyl home sidings is easy - Dirt can be washed off with water and soft cloth. Vinyl sidings can cost in the range of $350 per square foot though cheaper varieties are available from $275 upwards. Premium vinyl sidings are more expensive. Depending on the quality of vinyl siding used, it could cost anywhere from $3000 to even $6000 to install vinyl home siding for a 1200 sq feet house. Prices are also dependent on the thickness or gauge of the siding. A thicker vinyl siding installation is more durable and stable. Premium vinyl siding of this kind can be up to .055 inch thick. Ensure that the installation of vinyl siding is sans bulges, warps and separations. It would be prudent to get a 3 - 5year warranty on the workmanship. Premium vinyl is expensive but can last you a long time. Premium vinyl siding can be installed for a lower cost if you undertake the installation work yourself. Instructions for installing vinyl sidings are provided by the company and the tool requirements are minimal too. Care must be taken to cut and install the vinyl siding loose since it expands and contracts with changes in temperature. Being exposed to the elements, the vinyl siding tends to accumulate dirt, grime and stains. You might even notice mildew and mold at times. Equip yourself with janitor supplies and you should be able to do a good job of cleaning up the vinyl siding. Get a soft-bristle scrub brush, cleaning solution, pressure washer and ladder. You could use a solution of vinegar and water to clean up the stains. Don't use a hard bristled brush as it will scratch the vinyl. Keep sponges ready to mop up. 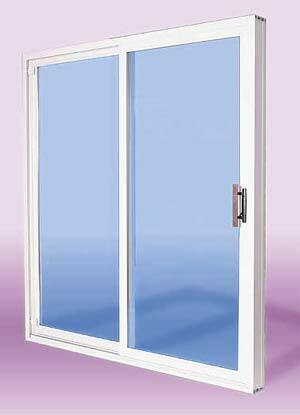 Ensure that the windows are shut tight and caulked well. Else you might end up with water seeping inside the house.